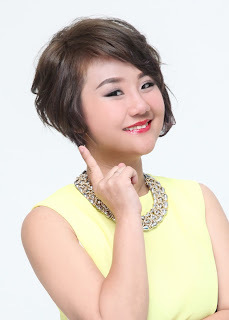 Wendy Pua | Malaysia Chinese Lifestyle Blogger: Saving with SSPN-i Plus & Win Big! You are eligible to win a luxury car like them! 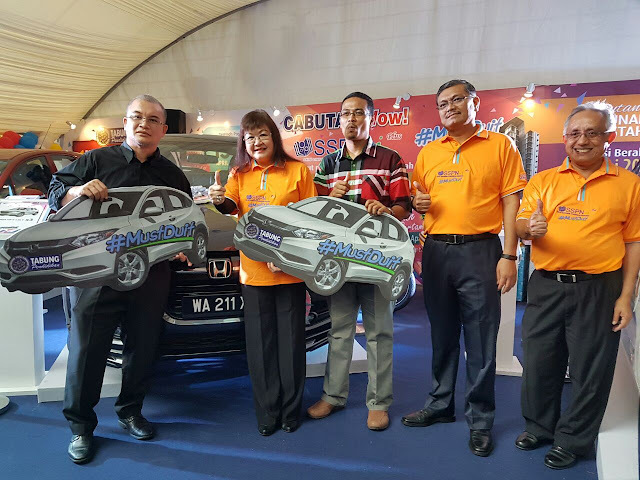 1 x Honda HRV might be your next round! not only 4 cars is given away from Cabutan Wow! 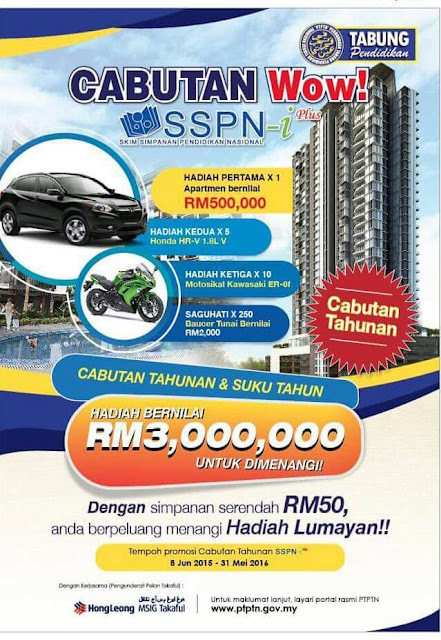 SSPN-i Plus lucky draw draws every 3 months which mean 4 times yearly ! Join now before 31 May 2016! are all these attractive prizes makes you open an SSPN-i Plus account now? Interested to open an SSPN-i Plus , Click Here . This is your golden opportunity to earn some pocket money by the register as an Ejen Online Ptptn (EPO), I am 1st few as an EPO in Malaysia! Earn As Much As You Can for Your Own Leisure! Low Commitment! 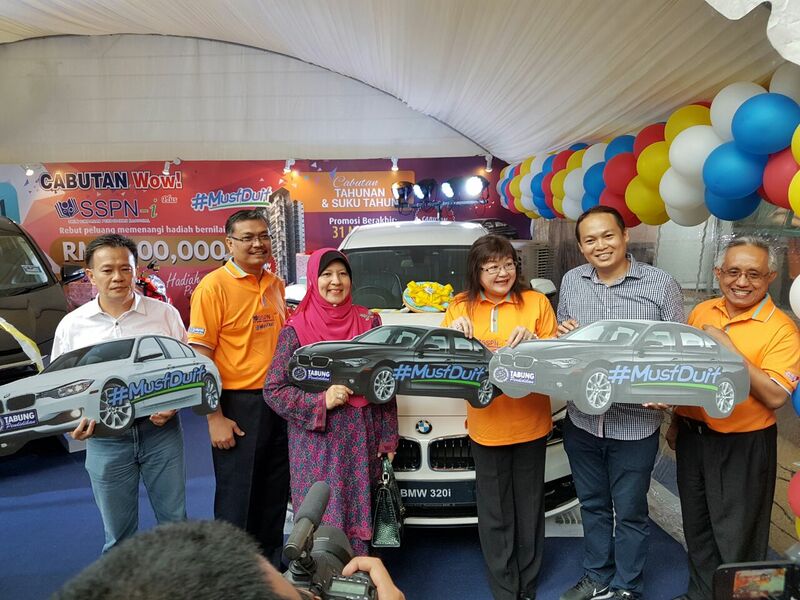 Ejen Online Ptptn (EPO) is a registered agent with PTPTN to market SSPN-i Plus online or face to face (EPO only) and will be eligible for a commission at the rate set for each transaction opening new accounts SSPN-i Plus and additional deposits are managed (EPO only). PTPTN Online Agent Registration open to all Malaysians aged 18 years and above.